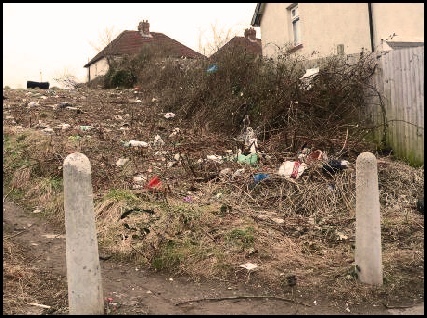 Many residents from the Ely community contacted the Ely Garden Villagers with regards to this fly tipping at Wilson road. This one took our group a while it seemed no one from the Council seemed to know who the land belonged to. We found out eventually and finally had it removed. 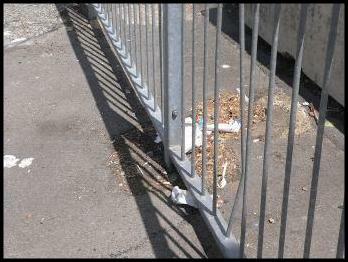 The horrible stone barrier at Stanway road. 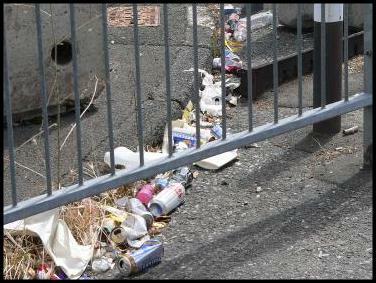 People approached us about the rubbish so again our group rang the council to have it cleaned up. 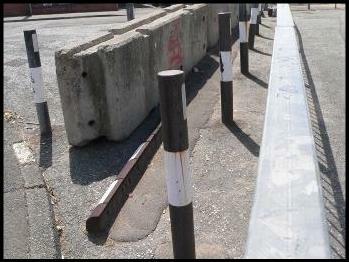 So many people have approached our group to have these nasty looking bollards removed. 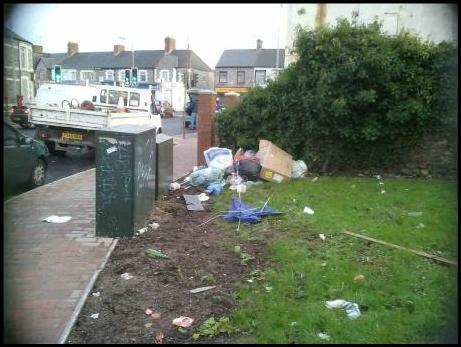 We are still waiting to here from the Council to find out if and when they can be removed. 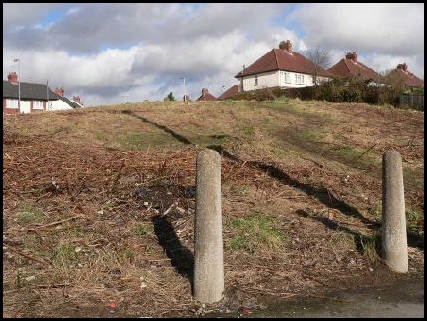 So many residents contacted our group with many questions regarding the top of Wilson road. 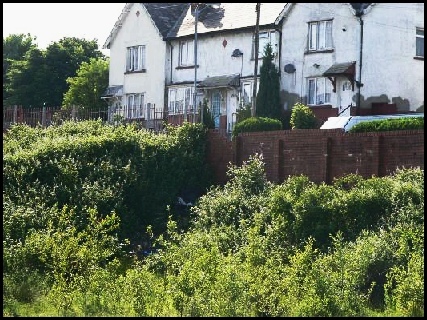 This site will go back to the planners within the next 6 to 8 months, residents will be consulted. 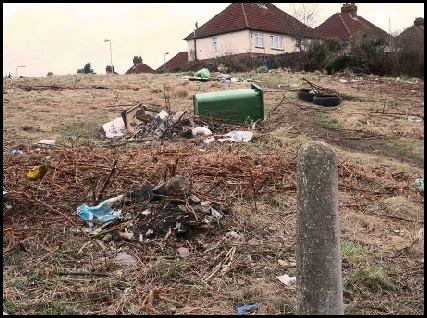 In the meanwhile our group have listened to the concerns of the state of the site, with regards to the fly tipping. 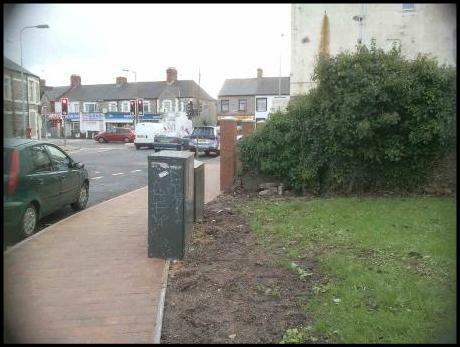 After many telephone calls we managed to work with John Jones from the Council and have had this site cleared up. 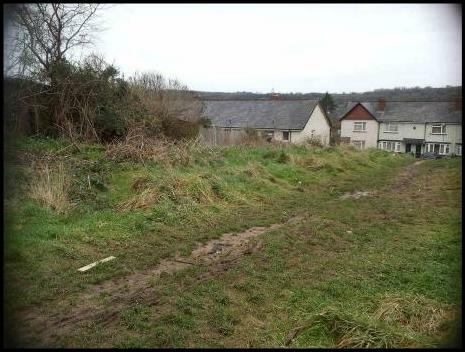 John told our group this site will be monitored on a monthly basis, and they will spray the site to stop the brambles growing back. The bollards in Stanway road were only meant to be a temporary measure. Many people approached our group to set up a petition to have them removed. Petitions were handed in and with the help of Neil McEvoy Plaid they will be removed. 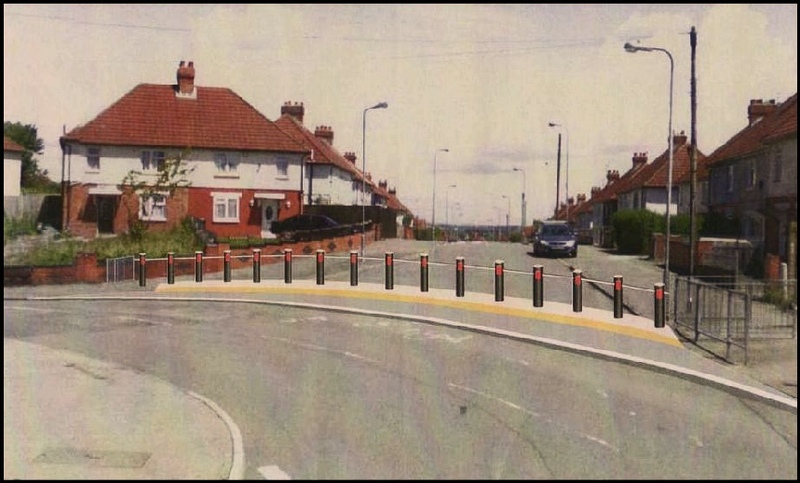 This is how Stanway road will look in the near future. 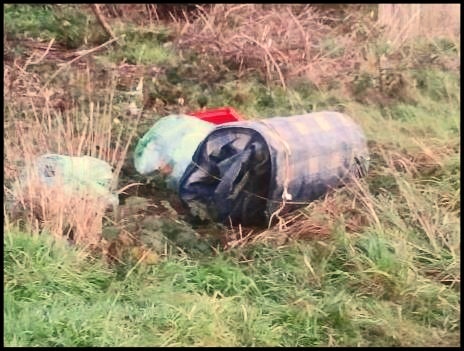 Once again we have fly tipping at Wilson road a resident contacted our group so we telephoned Connect to Cardirff (C2C) 02920872087 to get it removed results speak for themselves. Anyone wanting large items removed telephone C2C and they will come and collect from you. 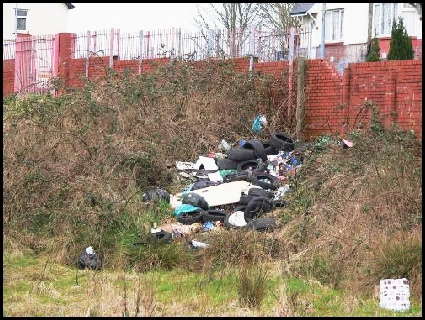 A resident from Mill road contacted our group with regards to fly tipping opposite their house at Mill road so we telephoned Connect to Cardiff (C2C)02920872087 to have it removed once again the results speak for themselves.